Kellogg’s Rice Krispies cereal can provide a low-calorie, fat-free breakfast that fits into your reduced-calorie diet. Simply consuming any individual food item will not necessarily help you lose weight, however. Healthy weight loss requires you to make significant changes to your lifestyle, including adopting a healthy diet and adding regular aerobic exercise to your routine. A 1 ¼ cup serving of Kellogg’s Rice Krispies cereal contains 130 calories. Adding a ½ cup serving of skim milk brings the cereal’s calorie total up to 170. A bowl of Rice Krispies contains no fat or cholesterol and only 4 g of sugars, according to Kellogg’s. The cereal provides 25 percent of your recommended daily intake of vitamin A, vitamin C, vitamin E, thiamin, riboflavin, niacin, folic acid, vitamin B6 and vitamin B12, as well as 50% of your recommended daily intake of iron. To lose weight, you must reach a state of caloric deficit by consuming fewer calories than your body burns. Your body will then use stored fat for energy, causing you to shed pounds. For every pound you want to lose, you’ll need to create a 3,500-calorie deficit, according to the Centers for Disease Control and Prevention, or CDC. You can create this deficit over a period of days or even weeks. 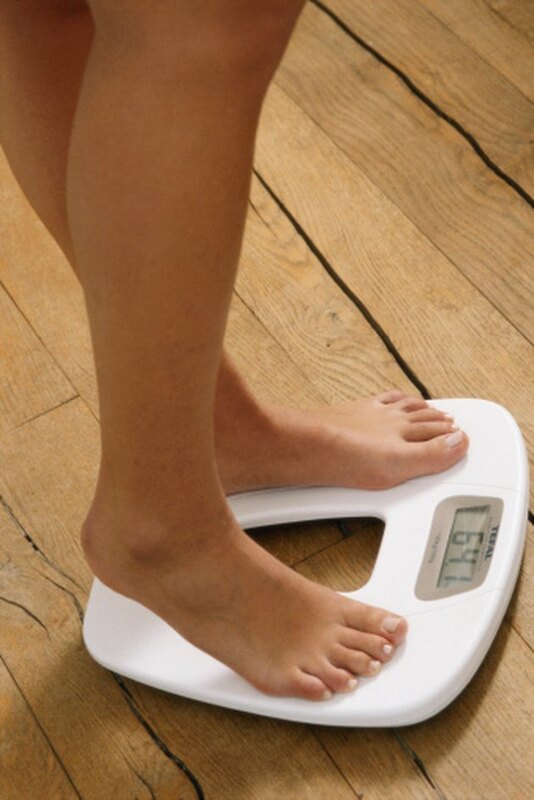 To lose weight at a rate of 1 to 2 lbs. per week, you’ll need to burn 500 to 1,000 calories more than you eat every day. Control the number of calories you take in by following a healthy diet and burn additional calories through aerobic exercise. A healthy diet should include plenty of vegetables, fruits, fat-free or low-fat dairy products and whole grains, according to the CDC. Your diet should also include protein sources such as lean meats, poultry, beans, eggs, nuts, legumes and fish. Restrict your intake of saturated fats, trans fats, cholesterol, added sugars and salt as much as possible, suggests the CDC. Rice Krispies cereal provides a low-calorie, nutrient-rich addition to your diet with no added fat and minimal sugar. Consume your cereal with fat-free milk and a serving of fruit for added nutrients. Supplement your healthy diet with regular physical activity to speed your weight loss and improve your health. Adults should spend at least 150 minutes per week exercising at moderate intensity or 75 minutes exercising at vigorous intensity, according to the CDC. High-intensity aerobic exercises such as running, swimming laps, playing tennis or climbing a stair treadmill burn calories quickly.